A dental cavity is where a part of the tooth has been broken down by acid and become soft. 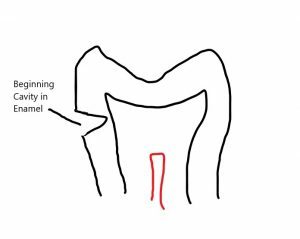 The main way to fix a cavity is to drill away and remove the ruined part of the tooth to get down to good solid tooth structure and then replace what was removed with filling material. Bacteria + sugar = acid. There is a certain kind of bacteria that eats sugar and makes acid, and when the acid is able to sit on your teeth it starts dissolving the tooth structure. It is not always known why some people are more susceptible to getting cavities. Certainly brushing and flossing properly plays a major role in preventing tooth decay but sometimes people who brush the same get cavities at different rates. It is possible there may be different strains of the same bacteria, some more aggressive than others, or certain people may naturally have teeth that are more resistant to acid or each person’s type of saliva may play a role. Diet also has a major effect on cavities. Diets that are high in sugar and/or acids (like sodas) play a major role in weakening teeth and feeding the bacteria so they can keep their acid producing machinery in full production. With each introduction of sugar the bad bacteria can produce acid for about 30 minutes, which makes sipping on sugary drinks throughout the day particularly dangerous. The crown of the tooth (the part of the tooth we can see in the mouth) is made of different layers. The outer layer is the enamel shell. Enamel is the hardest substance in the body and is the most acid resistant part of the tooth. It has no feeling and no innate ability to repair itself, though it can potentially be repaired, and indeed strengthened, with Fluoride. 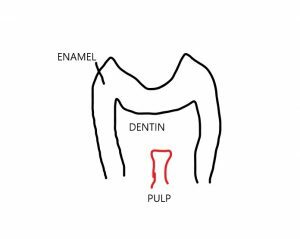 Under the enamel is the dentin. 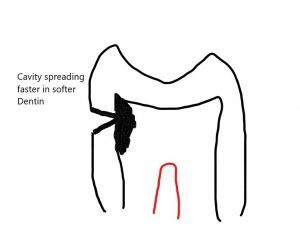 Dentin is softer than enamel but it does have a small amount of ability to repair itself, or at least react to the presence of a cavity. In the middle of the tooth is the pulp, where nerves and blood vessels are. This is the living tissue of a tooth. If decay reaches the pulp a root canal is usually necessary. A cavity usually begins by making a small hole in the hard enamel and then spreading out and speeding up when it reaches the softer dentin. Once decay reaches the dentin something needs to be done and that something is generally a filling. A filling removes all of the infective bacteria and the irreparable damage that has been done, getting down to good solid tooth structure and then replacing what was removed. Fluoride. Regular and proper brushing will help remove the damaging bacteria, sugar and acid from your teeth, and fluoride is the best thing we have to help keep teeth cavity free. Teeth will soak up either calcium or fluoride and fluoride is harder and stronger than calcium. A tooth that is infused with fluoride will be more acid resistant and fluoride can sometimes even repair small acid damaged areas. That is why you want to have the proper amount of fluoride available for your teeth to absorb. Tooth decay is one of the most common maladies that affects human beings. Visit your dentist twice a year to check for cavities and have a professional cleaning. If it is time for your cleaning and check up call us today! What are dental Sealants, and are they necessary? 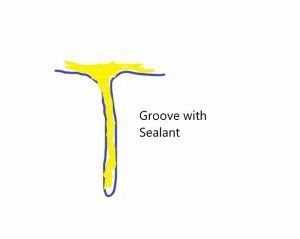 A dental sealant is a coating that is used to fill in and cover the grooves on the chewing surfaces of back teeth. Their purpose is to form a physical barrier, not allowing sugar or harmful bacteria to touch the surface of the tooth, hopefully preventing a cavity from forming. 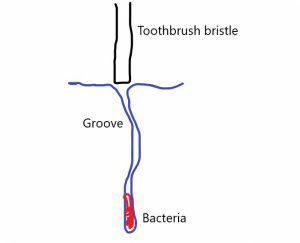 Sometimes the groove of a tooth can be so deep and so narrow that even a toothbrush bristle cannot reach the bottom of it. That allows bacteria to hang out in a protected area, making it only a matter of time before a cavity develops. 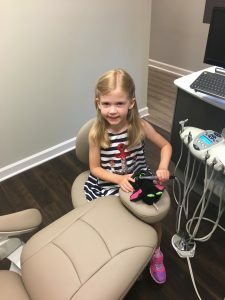 First molars usually come in around the age of six and second molars usually around the age of twelve and sealants are placed when the teeth have erupted enough to be able to access the grooves. 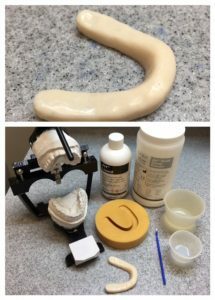 I have gone back and forth over the last 20 years on the usefulness of sealants. They can be very difficult and unpredictable to place on kids with small mouths and a case of the squirmies :). It is confusing to figure out who is covered up to what age and how often as all the insurance plans are different. They are necessarily a thin layer on the chewing surfaces of teeth and can be prone to popping off or wearing away. Even with those challenges though I am a firm believer that sealants are a good and proper treatment. At Comprehensive and Cosmetic Dental Studio of Greenville we guarantee the sealants we place for as long as that person is in our practice. This is not a guarantee that any tooth with a sealant will never get a cavity, but we take extra steps to ensure that the sealants we place will last and at future cleanings, if we notice a sealant needs touching up or replacing we will do that at no charge. That is the level of trust we have in the quality of our work and in the importance of prevention. Comprehensive and Cosmetic Dental Studio of Greenville is a family practice focused on prevention and education. The less dental work needed, the better. Anything we can do to prevent disease, we will do vigorously. Studies show that there are windows of time when people tend to be more prone to developing cavities and one of those times is through the teenage years into the early twenties. 80% of people have a cavity by the age of twenty and 90% of those cavities are in the grooves of back teeth; just what sealants are designed to protect. The wear rate of sealant material has also improved over the years, helping them stand up to the forces of chewing better and better. We are going to be focused on keeping sealants in place up through the late teenage years because of our strong belief in taking all steps to prevent dental disease from occurring. We will certainly do whatever work needs to be done and being Comprehensive is how we ensure that work is done to the highest possible standards, however Comprehensive also means a dedication to prevention. 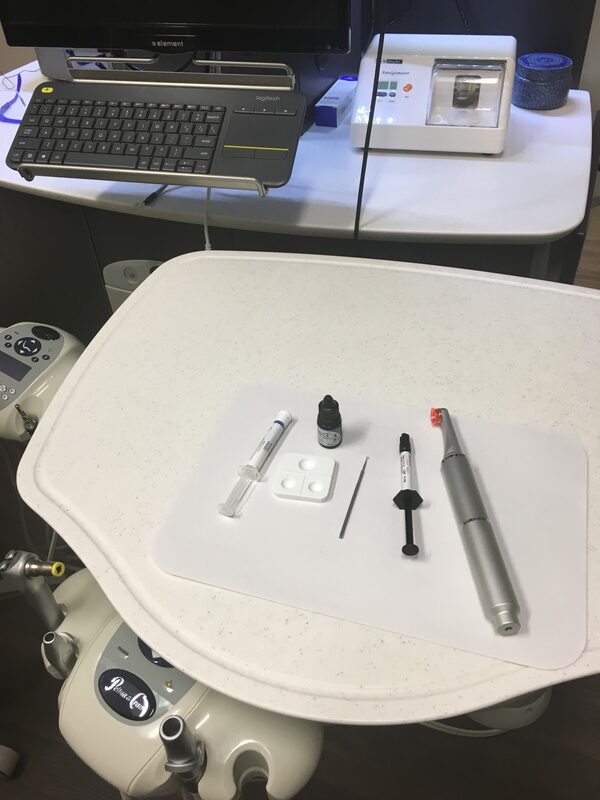 Comprehensive and Cosmetic Dental Studio of Greenville is dedicated to reaching and/or maintaining stability for our patients and sealants are one tool in our toolbox that can help us out. It is my belief that just about every adult patient (and every young patient in braces) should have an electric toothbrush. There are 2 reasons for this: time spent brushing and force of brushing. 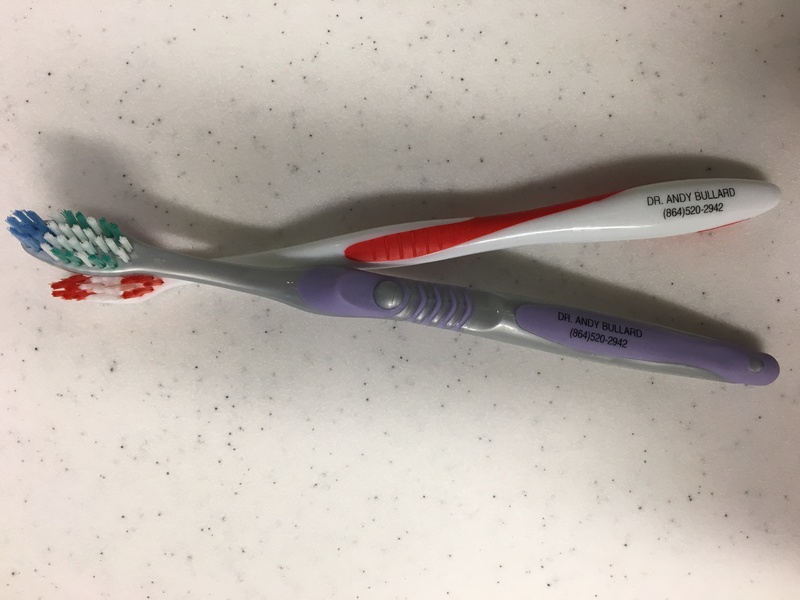 When I was a student in Dental School I had a professor that said a manual toothbrush could be as effective as an electric brush if used properly, and technically that is true. What I have realized after looking at teeth for 20 years is that we are simply too impatient, in the morning in too much of a rush and in the evening too tired, to use a manual brush properly and it is really difficult to change our habits. If you use a manual brush time yourself brushing. The proper amount of time to brush is 2 minutes, at least 2 minutes. For many people this will seem an eternity. One of the major benefits of an electric toothbrush is that most of them run for 2 minutes, so you turn it on and you know you are done when it turns off. Still, it can be a challenge to stand there and stare at yourself in the mirror and wait for the full 2 minutes, so I recommend walking around while you brush so you give yourself the full time. Sometimes in the evenings, when you are not so rushed getting out of the door to start your day you may want to do 3 or 4 minutes of brushing, especially if you have a lot of fillings or crowns, which can hold bacteria more than enamel. If you have issues with receding gums or have had gum grafts or have sensitive teeth it is better to stick to the 2 minutes because you can actually brush too much, or rather too hard; which brings us to the next major benefit of an electric toothbrush. Not only can electric toothbrushes clear away bacteria well, they can also be more gentle. Most people brush way too hard, which can cause gum recession and even can wear away your teeth. With an electric toothbrush you just hold it against your teeth and gums and it does the work, removing the need for hard scrubbing. Most toothpastes are abrasive, especially some of the whitening toothpastes. Most whitening toothpastes do not bleach your teeth, they make them whiter by scouring stains off. There was a study done with a toothbrush on a mechanical arm brushing against teeth for a couple of hundred thousand cycles. When only water was used there was no damage to the teeth, but when toothpaste was added large notches were worn in the teeth. Now, toothpaste is vital as a carrier for fluoride, but especially if you have gum recession or sensitive teeth sometimes the plainer the better; just plain paste or gel. Many manual toothbrushes also have medium or firm bristles. Never buy anything but a soft bristled toothbrush. The brushing motion should not involve hard scrubbing. Brushing should be thorough, not forceful. Time spent brushing is much more important than heavy force. Again, brushing too hard is often a difficult habit to break, thus increasing the value of an electric toothbrush. So if you do not yet have an electric toothbrush start checking them out. I think your check ups will thank you. What Is The Purpose Of A Bite Guard? The purpose of a bite guard is to protect the teeth, the jaw muscles and the jaw joints. The main destructive forces that a bite guard is designed to reduce are wear of teeth, sore or painful jaw muscles and damage to the jaw joints. These pathologies can be progressive, meaning they get worse over time and people are generally unaware that any damage is occurring. Wear is one of the most destructive forces that can shorten the life of a tooth, or indeed an entire dentition. Teeth are designed for chewing, speaking and swallowing, what we call functional habits. The enamel of a tooth is the hardest substance in the body and is well designed to handle functional forces. Tooth wear does not generally come from these functional forces, but from the parafunctional forces of clenching and grinding. For the most part people tend to clench during the day and grind at night. As the back teeth wear down they are not able to protect the front teeth properly and the front teeth become involved, often resulting in thinning or chipping, rough edges. Most people do grind their teeth at night and most people are unaware of doing it. These parafunctional clenching and grinding forces are what cause teeth to break and are a major cause of broken dental work as well. Grinding forces are exponentially higher that chewing forces, meaning we grind much harder than we chew and if tooth structure or dental work gets in the way it will lose, meaning it will break. One function of a bite guard is to separate the teeth, so they are not able to grind against each other. Another function of a bite guard is to reduce jaw muscle activity during grinding. A bite guard cannot stop someone from grinding, but it can reduce the muscle strength used to do so resulting in much less wear and tear. Signs and symptoms of grinding can be overdeveloped size of jaw muscles, waking up with sore or tight jaw muscles, or jaw pain or tension headaches at the end of the day. If the jaw muscles are overactive and working hard at night they are at risk to become sore or painful at some point, often during a stressful time that pushes them over the edge. Anyone who has experienced muscle related jaw pain knows it can be a debilitating condition. A bite guard helps to ensure the muscles do not reach that point. Increased risks for nighttime grinding are snoring, acid reflux, sleep apnea, and certain anti anxiety medications. The jaw joints are two of the most complex joints in the body. Clicking, popping or crunching in either joint is not normal, but means there has been some level of destruction within the joint. Most people’s teeth do not line up perfectly when they bite together, resulting in the joints being out of place and the muscles having to work to hold the jaw in place and with the muscles having to activate both they and the joint become stretched and stressed. The ligaments around the joint are not like rubber bands; they do not rebound back when they stretch but instead remain at the stretched length. A proper bite guard is designed to take the stress off of the joint and it’s supporting structures. Not all bite guards are created equal. Most bite guards are protective only, separating the teeth but not helping (and maybe hurting) the joints and muscles. These are 80% of the bite guards made by dentists and are generally clear and can be softened when placed in warm water. To be truly functional a bite guard should be rigid to provide a solid platform to control the bite, for only then can the muscles and joints be protected with less stress. Bite guards at Comprehensive and Cosmetic Dental Studio of Greenville are custom made on site to the highest specifications ensuring that all three phases of potential destruction are addressed: the teeth, the muscles and the joints. Comprehensive means several different things, but overall it describes the foundation of what this practice strives to be. It’s accounting for all the factors that affect oral health. Our goal is to reach or maintain stability for all of our patient’s oral health in comfort, function, and esthetics. The best way to do that is to ensure that everything that can influence comfort, function, or esthetics is known and analyzed. We are not fans of guesswork or hoping everything is ok.
That is why sometimes within the first few appointments we may take some more time. This is not so we can do extra work, unnecessary work or take time from anyone’s busy schedule, but so we can sleep well at night knowing our patients are getting the best possible oral health care. It is an amazing responsibility to be entrusted with the care of another human being, and being comprehensive is a way we take that very seriously. Comprehensive with respect to treatment means using the best material and methods to know exactly where we are going and how to get there before ever beginning. For those who have had a lot of dental work, you know it can be difficult to arrive at a place that looks, acts and feels entirely comfortable. Dental work is incredibly detailed and it demands a comprehensive approach to ensure that it is done with the best outcome. Comprehensive with respect to the patient experience means that we do everything we can to make being a patient here as easy, smooth and hassle free as possible. 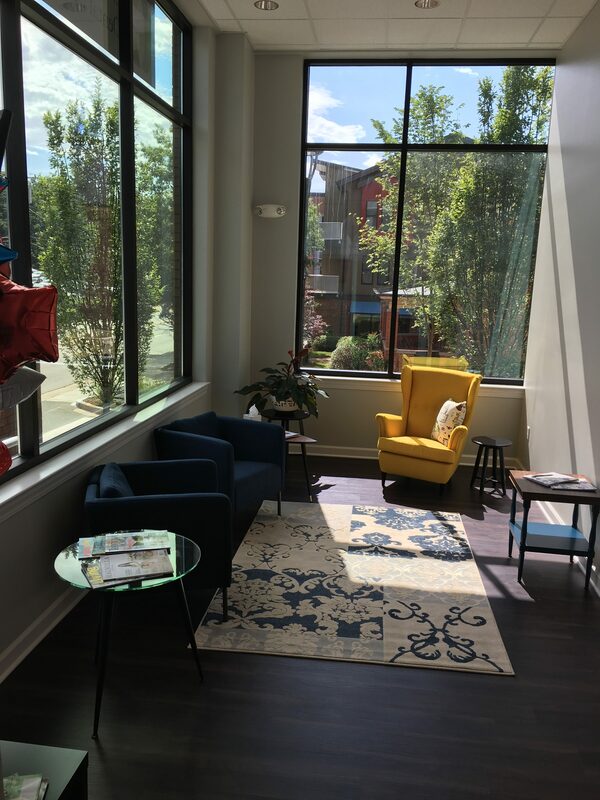 We will always be focused on the patient experience and providing a pleasant office environment. 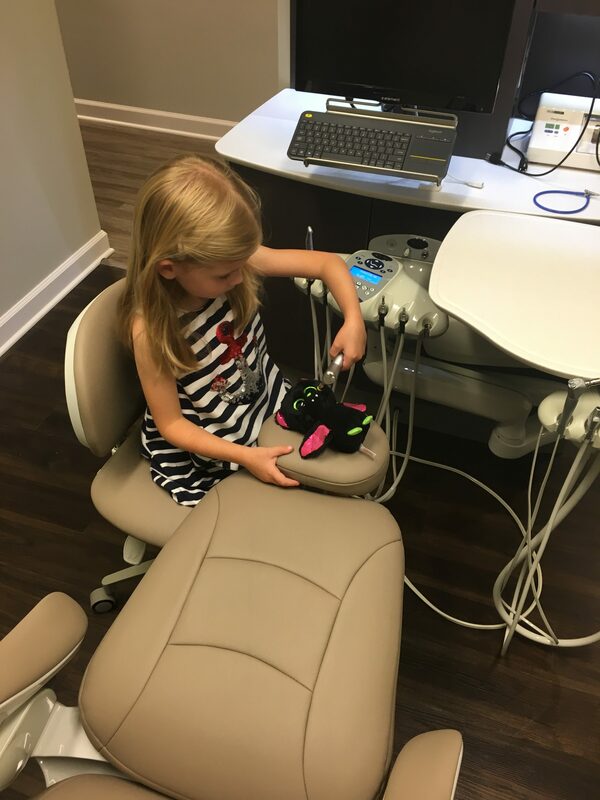 Comprehensive and Cosmetic Dental Studio of Greenville is a general care office for the whole family. We are focused on prevention and stability for the entire family at an affordable price.